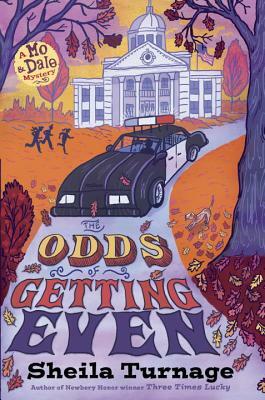 Kathy Dawson Books, 9780803739611, 352pp. Sheila Turnage grew up on a farm in eastern North Carolina. A graduate of East Carolina University, she authored two nonfiction books and one picture book before she started writing about Mo LoBeau and Dale. Three Times Lucky is a Newbery Honor book, a New York Times bestseller, an Edgar Award Finalist, an E. B. White Read-Aloud Honor book, and was included on seven Best Book of the Year lists. The Ghosts of Tupelo Landing, the follow-up to Three Times Lucky, is also a New York Times bestseller and has so far garnered five starred reviews. Today Sheila lives on a farm with her husband, a dozen chickens, and a flock of guineas.